Teens Dream Celebrates its Teens in Washington DC! | Teens Dream Co Lab is a collaborative of teens and adults who encourage teens globally to be change agents in their communities, and the world! Teens Dream Celebrates its Teens in Washington DC! 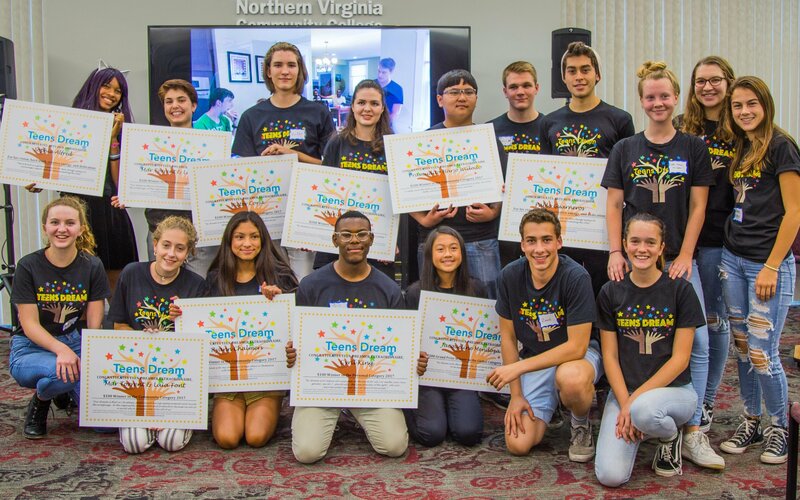 Teens Dream recently honored the 125 submitters and 9 winners of our 2017 Teens Dream Video Competition in a Oct 6th celebration of amazing teens who express their dreams as they relate to one of the United Nations Sustainable Development Goals. Watch the livestream thanks to Turkish American TV! See photos here! We honored Pramudito from Indonesia on addressing poverty through education, Ryann from California on mental health, Victor from Virginia on fighting corruption, Porter from Utah on storytelling and the arts for the SDGs, Cyril from Connecticut on LGBTQ equality, Maria from Romania on quality eduction, Mar and Laia from Spain on responsible consumption, Jonathan from Connecticut on preserving oceans and finally Cade – our grand prize winner from California – also on ocean preservation. Our celebration was led and moderated by our teen co creators who did a fabulous job once again celebrating our winners who received cash prizes, were flown into Washington, DC and linked with mentors from the World Bank, National Alliance of Mental Illness, NOAA, Earth Day Network, SMYAL, Fairfax Public Schools, Mind and Media, and Turkish American TV. They spent Friday with their mentors and learned about the importance of service learning and social entrepreneurship on the SDGs from the Presidents of Youth Service America and LearnServe International. They met our teen co creators in a welcome reception at Arlington Independent Media, learned about the power of film as a medium for change making, and attended the Teens Dream Arts Dream Hub’s first showcase on gun control. We are working to scale action on each of the SDG dreams in virtual rooms led by teens with adult mentors. See our newest virtual “Dream Hub” on gender equality here. Read blog on poverty by Pramudito here. Listen to previous winners JAYO and Sophia’s rap song on Teens Dream here. We celebrate our hundreds of submitters and winners over the past four years in our gallery. Please support our efforts to link teens globally in virtual real time collaborations via our Dream Hubs, by introducing us to funders, foundations, corporations or contribute to our non governmental organization the Global Co Lab Network that manages Teens Dream here: simple, safe, and all contributions are tax deductible! 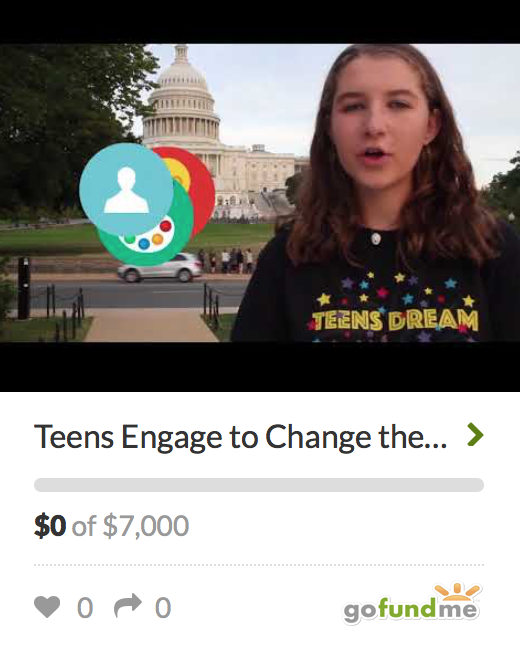 Finally, please help us spread the word about Teens Dream and our global competition that launched October 6: teens have until January 13th 2019 to submit a 2 minute video on their dream. Encourage teens to connect here. Download a one page flyer to circulate to your network here! We thank everyone who helped us make our 4th celebration a huge success!